The first week back for our students, and as we've done for the past three years, we called upon our final year group to come up with an inspiring induction project, which would involved our NC, HNC and HND groups. The main aims of the induction week are to promote peer bonding, introduce our newbies to the studio process, and to have a bit of well-earned fun. This year the project was 'Hands On' - dispensing with digital and computer work and focussing purely on a handmade design solution. 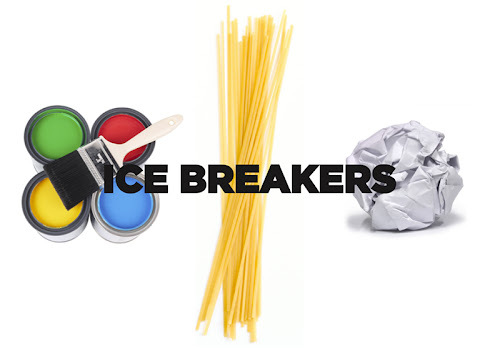 Led by final year student Calum McKinnon, the project brought together 60 students, organised into in 11 teams, to carry out a series of ice-breaker activities and then tackle a two day brief. We supplied the group with a double lecture theatre space, plus £350 worth of art materials. Firstly, a 30 minute logo design to brand each team, using only paint, paper and pencils. This was followed by a spagetti tower competition - with each team attempting to construct a spagetti tower made from 40 strands of spagetti, 1m of cellotape, and a single marshmallow (all in 10 minutes). Team 7, led by Mark Phillips, managed to break the 1 meter barrier, winning by 50mm. The final ice breaker required the teams to create a bridge using only 4 pieces of A4 and 1m of cellotape, then balance as many Mars Bars as possible on it, across a 40cm gap. Team 8, led by HND student Craig Nicholson (clearly a closet architect) managed to balance a rather amazing 32 Mars Bars on their bridge. Worth trying at home. 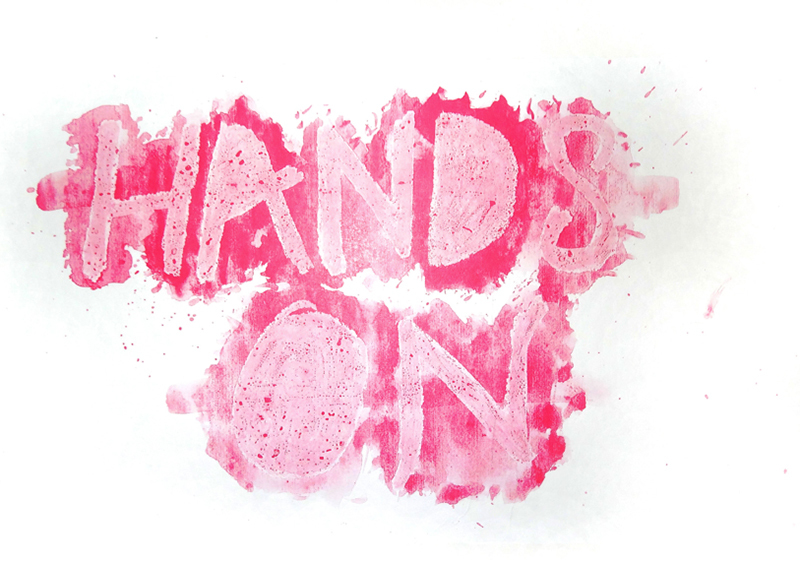 The brief kicks off tomorrow - to create an inspirational campaign that promotes back to basics, ‘Hands On’ design. The teams have until 10am on Thursday to create their design, when they'll present to all groups.